Consider taking MUNI to Van Ness station or BART to Civic Center station—both are within a 10-minute walk of the restaurant. We deliver food through Caviar. 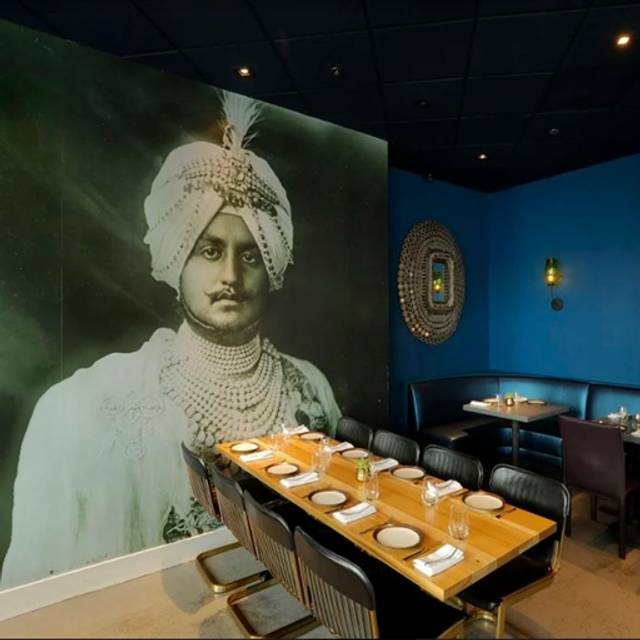 August (1) Five is a modern Indian restaurant named for the date commemorating India’s independence from British rule. 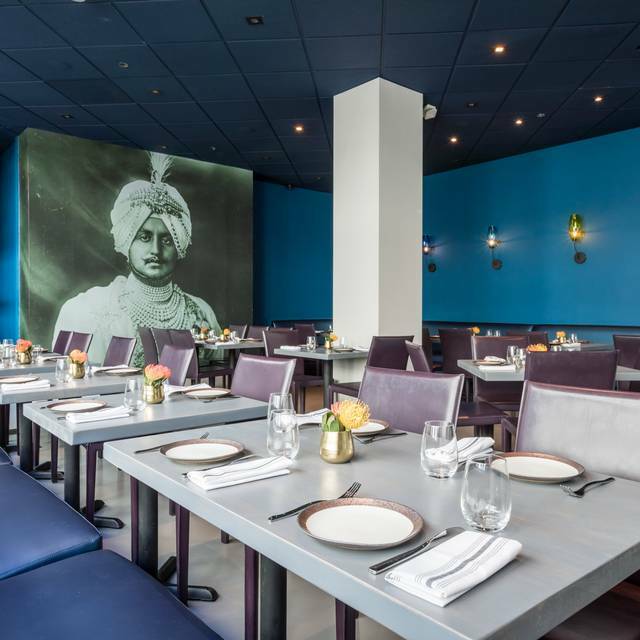 Located in the heart of San Francisco’s Civic Center neighborhood, we invite our guests to explore the nuances of Indian cuisine rarely seen in the West. Owned by Hetal Shah. Join us for a special Mother's day brunch and dinner. We will have some of our Chef's favorite childhood memories of his mother's food featured on both menus. Probably the best Indian restaurant in San Francisco .... not cheap, but if you want modern Indian food, August (1) Five is your go-to place. This was my third time dining at August (1) Five, and I've been impressed every time by how good the food is. I would give even more stars if it weren't for the fact that the spiciness of the same dish can vary a lot from visit to visit, depending, I suppose on who the chef is that night. I was OK with the surprisingly spicy tandoori prawns but my friend, who'd ordered them, found them hard to enjoy. If you don't appreciate highly spicy food, let the waiter know when ordering. The noise level is really high, both voices and music- concrete floors make the music and voices carry. The lighting was really low throughout the bar and seating area around the bar, we saw quite a few people using their phones as flashlights around the bar because there are completely dark areas where you can't actually read the menu without light. Everything we ordered was very sweet and/or salty, but people around us seemed to be enjoying their food more than we did, so we may have ordered poorly. This restaurant is a lovely venue with excellent service. However the food is not Indian. 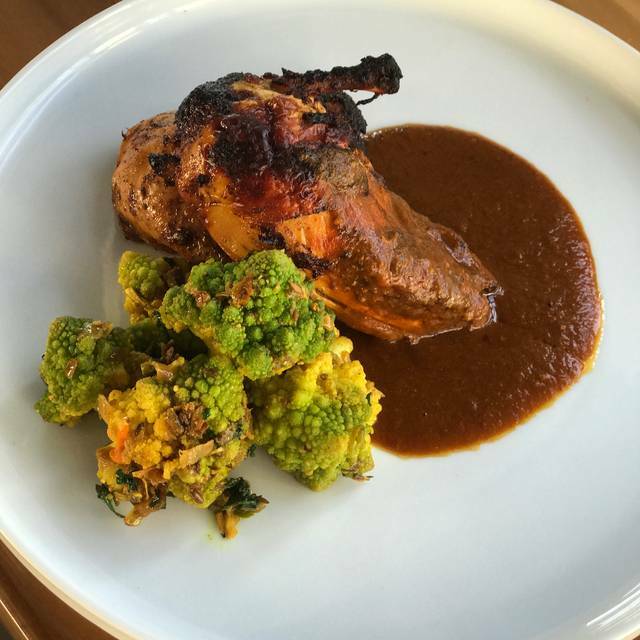 It's kind of nuvo cuisine using some Indian spices. If you are expecting cuisine from India, this is not the restaurant for you. The pea soup was excellent. The fish (Cobia) was dry and rather tasteless. The nan was tasty. Excellent food and service. I would definitely return! I’ve been here 5 times, excellent every time. August (1) 5 is one of the very top restaurants in the SF Bay Area. I've eaten there twice (in 2018, plus last week in late March, 2019). Both times everything was great! The food is experimental (unusual combinations of herbs, spices, vegetables, etc. ), but very very palatable. I suspect that everything on the menu is good as I have tried 7 dishes now, and every one was fabulous! We'll be back! The flavor combinations in the drinks, in the food were absolutely delicious! We will return! Excellent food and service. The choices are very interesting. $75 tasting menu was a good value. Go hungry! I thought we had to choose, but we got one of everything on the menu, which was a great way to try everything. Very fun and the way the dishes were spiced was extraordinary. Waaaay too expensive and Im not usually one to complain. 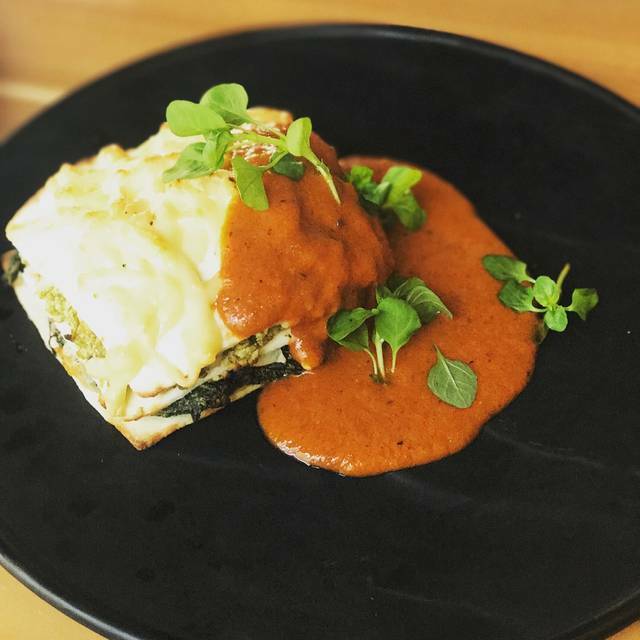 August (1) 5 is the perfect fusion of traditional and modern Indian cuisine. Each dish is unique and the presentation is wonderful, as is the service for a 6PM dinner. Food was very good. Waiter said he didn't work brunch and was unfamiliar with menu. Very slow service even though not crowded. Amazing food and service. The staff was great and treated our group with a lot of care. We’ll definitely return. Absolutely fantastic food. Cocktails were a little weird but delicious. Waitstaff was friendly and asked us if we we're going to a show so that they could get us out in time for curtain call. Overall great experience. Just LOVE LOVE LOVE this restaurant..The food is always amazing...just so many nuances in the flavors..the flash dried kale is fabulous! Very innovative. 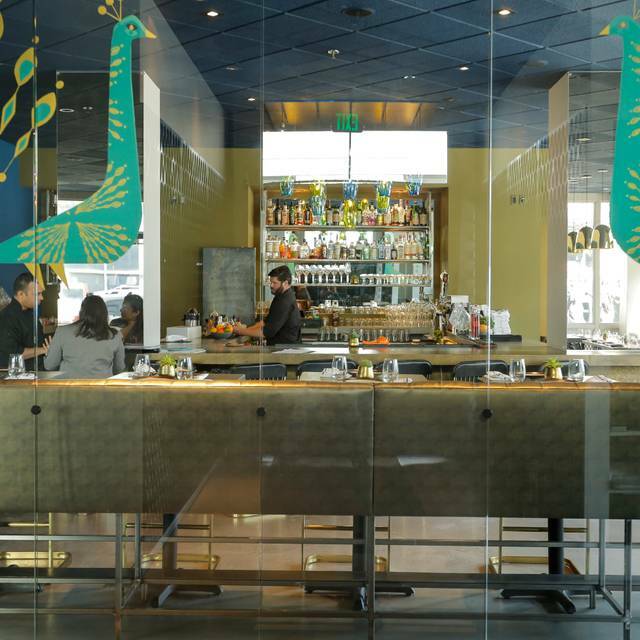 Perfect for theatre dining, Asian art museum, ballet,...brunch or dinner.Or any other time. Second time we have had Patrick as a waiter.he is THE best! Great service! Patrick is awesome. The food was delicious, we ordered mostly all of the appetizers and they were yummy and filling. he drinks were awesome too, get the holy cow drink. The fish, blue cobia, and the lamb chops were delicious. The jackfruit tacos are tasty and spicy. The dal was nothing special, a little sweet. The waitress was having an off night, I hope. She seemed like she didn't want to be there, serving us was a burden. It's expensive, but lots of interesting flavors. The Bison Kheema was good, not for kids due the spice level. We also got Mushroom pot pie which was a BIG let down. It was not a pot pie, it was only mushroom masala with a NAN on top. The NAN were ridiculously small. Deserts we had kulfi, toffee cake, chocolate lava cake.. nothing much to rave about. Overall ambience is good, food was a let down. 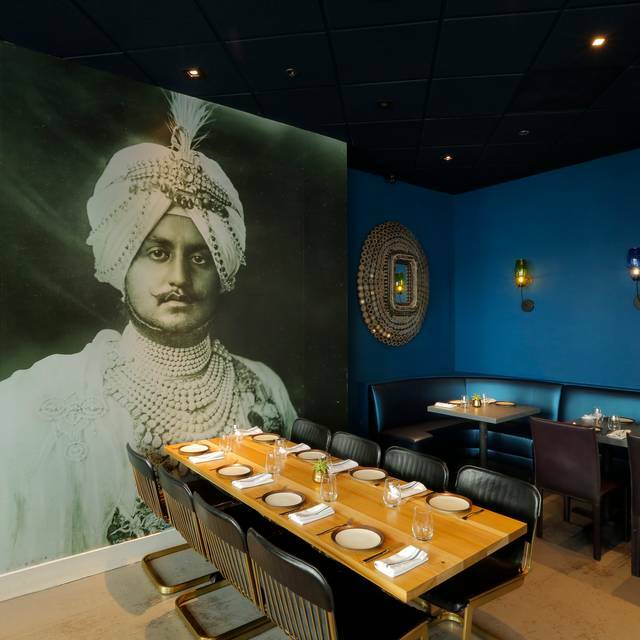 This is not your ordinary Indian restaurant. 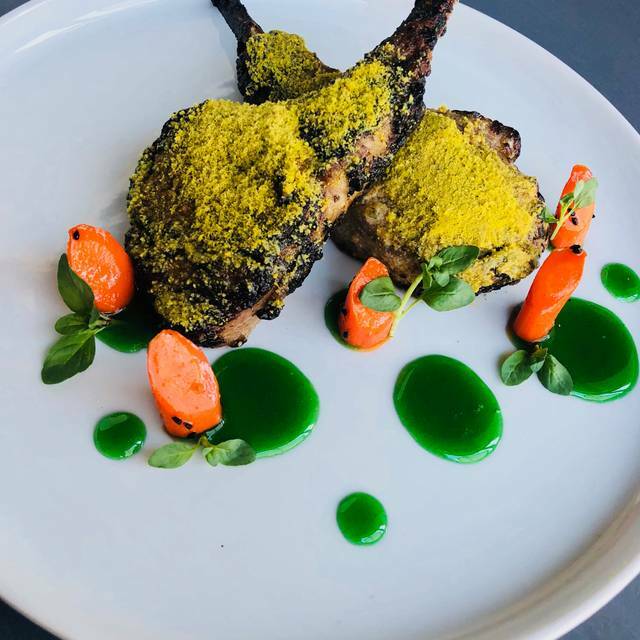 There are dishes that my Indian friends who are real gourmets have never seen - the chef has a California sensibility and uses things like truffles that probably have never been seen in India! But the food is so delicious - great lamb chops, wonderful salmon, and a jack fruit ‘taco’. Nice wine list, and VERY creative cocktails. Tremendous service, walking distance to the Opera House, Davies and the Jazz Center. What’s not to like? The food at best was adequate. While the descriptions sounds great, the food itself was not. Both entrees were over cooked and the presentations identical for each demonstrating the laziness of the chef. The drinks were quite good but expensive. Nice ambiance and central location. Wait staff excellent. Very good Indian restaurant in SF. A new take on conventional chat or entrees makes August 1 Five to stand apart. The Chef is a genius. We tried all Chaat items so far and they are delicious. The mini bread sampler is a must try, it's simple and filling. The veggie entree with Mushroom was good. Fishes were cooked with style and taste. Overall very good restaurant. Go there and experience the Culinary experiments before they get the Stars !!! Very different and interesting food. Especially recommend the Palak Chaat, Zucchinni, and Gol Guppa. Excellent service we had but the don’t open their door till exactly is 5 pm. Also the food is in very small portions for the high price we paid for . Four people cost 400 dollars and we each had one drink only and no desert. I love the place and food but just too expensive. A pleasant surprise at its location! Delicious Indian fusion cuisine. Bread/Naan selection (side) - very good, however 2 chutneys that came with it were placed in bowls many hours before they came to the table. Chicken kebab (warm appetizer) - good but the chicken was over-marinated and has lost most of its structure. Pheasant (main) - bad, just really bad, cold and dry. Blue Cobia (main) - ok, this was very problematic dish, fish itself was very good, sous was very good but they do not work together (at all) and to make things worse, few pieces of marinated cauliflower were put atop that did not work with any of the ingredients of the dish. Saffron rice (side) - very good. The Jaipur Emerald (cocktail) - great. Bengali Sour (cocktail) - very good. MY Chicken Livers were great! I always enjoy the Dragon Glass and the other members of my party seemed to enjoy their drinks. The Goat Cheese Naan and the Biryani I wouldn't order again, but sometimes I strike out. I've been here several times and this was the first time I didn't like everything. Creative fun & delicious but more gluten free choices would be nice. very small portions. very expensive. zucchini $25 !!! was not good at all. lamb delightful. I've enjoyed my lunches much, much more. 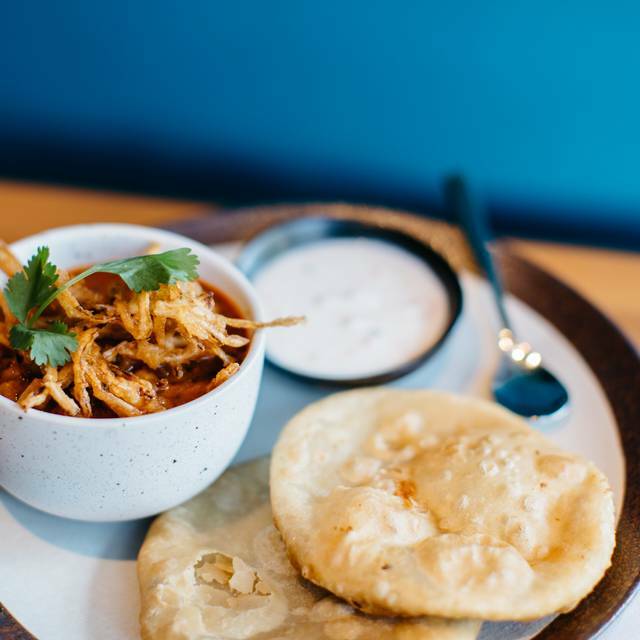 Try the chaat, nan sampler and dal. Simply delicious. Food was generally good. Service had some room for improvement. 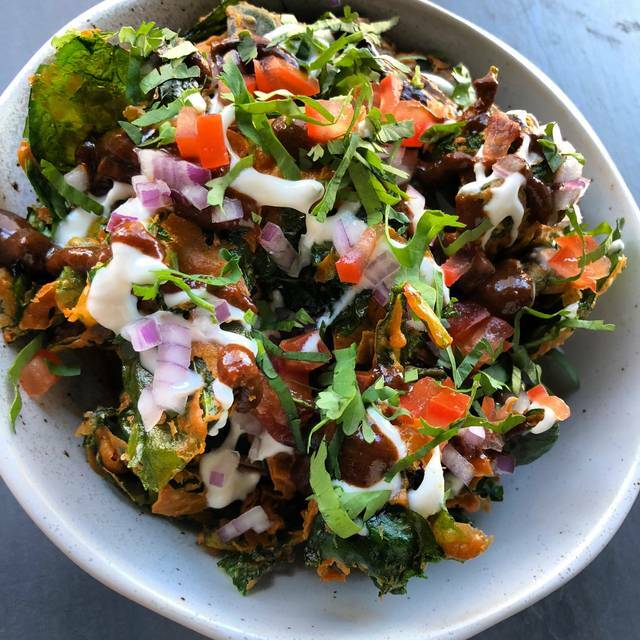 Palak chaat was AMAZING as was the DUCK. The bar service is incredibly slow, waited 20 minutes for cocktails.... 2 martinis. This was the case on previous visits too. Appetizers arrived before the first cocktail! Long wait between the appetizers and main courses. Sunday night wasn't too busy & they treated us really well. Loved the Dark & Foamy drink. Yum! The food is excellent--lamb biryani & the bison dish were perfect for a wet,cold night. This is not cheap Indian food--very well cooked & thought out. Love this place.